Simply put, not all water treatment companies are created equal. Many companies are rarely challenged to look at all the problems of contaminated waters and many risk a "one-size-fits-all" approach. A properly investigated, accurately sized, well specified and cost effective approach should be taken with any source of water. Galway Water offer exceptionally well engineered water solutions and this is made all the more possible as we only use the world's number one brand of water treatment products - the US made Clack here in Ireland. Galway Water import water treatment systems and medias directly from Clack Corporation in Wisconsin and distribute to selected Irish water treatment professionals with the back up of training and technical support. We service a close client base of domestic and commercial systems in Co. Galway and work further afield with many other trade associates around Ireland. We import the full range of Clack water softener valves, Clack media, Clack brine tanks, Clack filter systems and overall range of Clack manufactured products. Clack designed the world beating WS1 series of water softener valve controls at the end of the 1990's and the Clack WS1 range launch around the millennium sparked a new era for highly efficient and highly specified water softening systems. Clack have constantly updated valve software and added extra features year by year to keep Clack valves well ahead of the competition. Clack valves are designed with the benefit of diverting treated water via the brine injector to the brine tank unlike competing valves such as Autotrol logix and 255 valves and many other US made and none US valves. The unique design of using treated water for brine regeneration, offers outstanding clean valve performance over many years allowing servicing to be extended to 10 and 15 years into system life. This leaves injectors completely clean along with clean brine tanks and less caking of salt tablets. Savings on service costs alone can extend into 1000's of euros over system life. The use of Clack's state of the art water metering also allow extremely low salt use and low water use by gaining extended wash cycle intervals. Accurately calibrated Clack metered valves will allow around 2 to 6 bags of salt use (13 to 40 euros) per year for varying family sizes over varying water hardnesses. The savings on salt and water use, and pin pointing of household water leaks through Clack's sophisticated diagnostic software, means additional savings of 1,000's of euros of salt and water over the system life. Clack valves have so many advanced features and high reliability design, that even though they are provided at equivalent costs of the older designs of Autotrol valves still sold by many dealers, Clack valve based water softeners are going to guarantee several thousands of euros savings compared to the expense and poor performance of rival valve controls. Galway Water keep up to date with new Clack products. We are the highest Clack factory trained personnel in Ireland after several visits to Clack headquarters in Wisconsin. We stock the widest range of Clack products in Ireland from valves to vessels, brine tanks and various Clack components. Galway Water demonstrate to clients how the installation of Clack water softeners and Clack products work together, how they remove contaminants and our warranty back up and service schedules. We offer free household surveys and basic water testing free of charge and advice on professional laboratory testing to domestic clients. Clients can test water fully using independent laboratories before and after installations for peace of mind to confirm the performance of products and the removal of contaminants including bacteria and cryptosporidium. 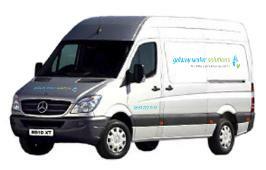 The Galway Water business model is based on keeping as far ahead of other competitors as possible, by providing the best products at the best price with a far superior level of service. We guarantee to respond to calls promptly, answering in a friendly and informative way and answer client's questions fully. Many Clack products have 5 to 10 years of factory warranty and when installed by Galway Water, parts and labour warranty is provided in 10 year warranty intervals with the option to extend this to 20 or 30 years after the first 10 and 20 year system checks. These criteria are by no way our limits, we not only deliver well within customer's expectations, Galway Water more than often perform beyond expections.